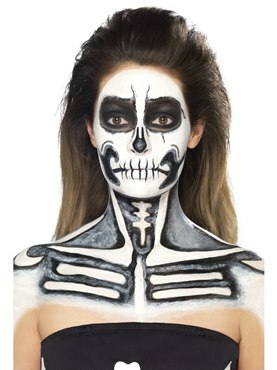 Let your Skeletons out of the Closet this Halloween with our Adult Mrs Bone Jangles Costume! 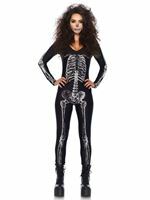 Our Adult Mrs Bone Jangles Costume comes complete with a Black Skeleton Printed Tutu Dress with a Red Piping on the Hem. 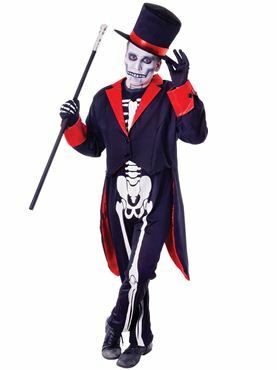 The Costume also features a Black Cabaret Tailcoat Jacket with Red Sequin Lapels and Cuffs and a Matching Mini Black Top Hat. 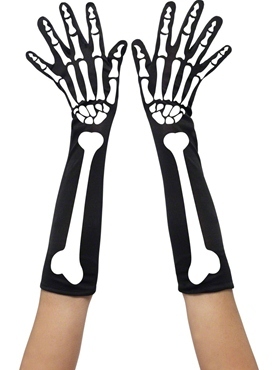 Completing the Outfit is the Bone Printed Black Trousers. One Size 10 - 14 32" - 34" 30" - 32"